Here Master means a Perfect Master. It is only in human form Jivatma (embodied soul) gets realisation after exhausting all sanskaras (impressions) accumulated so far. In realisation, the soul is conscious of its godhood and has no consciousness of creation. Such a soul is not capable of doing any duty in the world. There are 56 such soul on earth at any given point of time. Out of these 56 realised souls, eight souls gain consciousness of creation while retaining their god consciousness. Five such souls having consciousness of both godhood and creation are given charges with corresponding yoyayog sanskaras (impressions). They are the Perfect Masters and their number is always constant – if a Perfect Master drops body, his charge is transferred to some other eligible soul. Perfect Master works for spiritual development of his circle members specially and generally for the entire creation. He gives spiritual push to spiritually developed souls not belonging to his circle even. He can give realisation to any soul in the flash of a second if he so desires depending upon the connection of a soul with him. Master works in all types of worlds i.e. subtle and mental. Common people with their perception limited to gross world cannot understand a Master’s work. Because of their work in other worlds, Master sometimes behaves peculiarly mostly against the common concepts. Therefore they are misunderstood even by the intellectuals. Master never performs miracles to show his powers, though he does perform miracles to turn a seeker towards spirituality. Realisation being a long journey, Master keeps a watchful eye on the disciple so that he does not get stuck. Moulana Rumi, a professor and a poet, went to Shums of Tabrez, then Perfect Master and showed him his books. Shams dipped all books in water in a gesture that had sought to convey the message that whatever was written in books had absolutely no value. Rumi was, however, perturbed. Shams later took out the books from water and gave them to him. The books were all completely dry. Rumi was surprised and became his disciple. Unless flame appears, moths will not turn up. So the Master has to kindle love in circle members/disciples by giving suffering to them. Sai Baba made Upasini Maharaj suffer (breathing trouble) to attract him. R.K. Gadekar had acute stomach pain which brought him to Meher Baba. Mani Desai known as ‘Mansari’ had lucoderma. Master ruins the lovers and benefits the foes. Swami Vivekanand had to suffer privations. He could not get any employment though he was a graduate (to be a graduate in the 19th century was a great achievement). He turned to Ramakrishna Paramhansa. Master is always busy in his spiritual work sometimes keeping himself busy in absolutely nonchalant and insignificant work. Such works are gross mediums for his internal work. People in general not knowing His involvement in internal work are inclined to feel that the Master is mad and is devoid of common sense. Whenever Master’s internal work is completed satisfactorily he is very pleased but its reaction on the gross level is exactly the opposite. Master may lash out at any person before him or even beat him. Persons getting such treatment are benefited, needless to say. Master is all-knowing and all-powerful. He is beyond good and bad. Any individual is an open book to him. He knows the past, present and the future. So, he may give advice which may appear to be strange to the beneficiary. A young thief once became sick of his profession. He went to a Master and requested him to suggest any new means of living. The Master asked him to pursue his father’s trade. The young lad replied rather hesitantly: “My father is also a thief”. Nevertheless, the Master asked him to follow the footsteps of his father. And instructed him to think of others more and less of himself. The thief nodded his head and followed the advice. One day he went to rob a businessman’s house. He got a big booty. He thought of the businessman, and left half of the booty. He remembered that the businessman has a family and so left behind a further share. Then he felt that he didn’t require a huge sum for himself. ‘I am alone, single. What will I do with such a big money’, he thought and picked up a small quantity of the booty to carry home. By the time he reached the top of the roof to make his exit with a small quantity of booty, there was a call for prayer. As a true faithful, he started praying loudly without thinking of consequences and naively believing in the Master. Reading the thoughts of other is a very minor miracle and can be performed by a beginner of the spiritual path. Tantrics and magicians can perform miracles but they don’t have even a whiff of spirituality. Only spiritual experience counts. The noise woke up the owner got up. He was shocked and surprised. He found that the thief was still in the house. He waited till the thief’s prayer was over and then questioned him as to why he resorted to stealing. The thief replied that he did as per the instructions of the Master. The businessman offered him a job in his establishment. The man accepted the job and left stealing. Not only that, he caught red-handed other employees stealing in the establishment. Pilferages were plugged and profits increased. The owner was pleased with his (thief’s) performance and made him his partner and later on made him his son-in-law. The message from the story is clear. As pointed out at the outset, the Master is in full knowledge of the past, present and the future. That is the reason why he gives correct instructions; and we should follow them scrupulously even if the advice appears contrary to common concepts and common sense. Meher Baba sent a devotee’s daughter for nurse’s training even though the girl was very intelligent and could become a doctor. As a nurse, she came in contact of a Doctor who fell in love and subsequently married her. She had a happy life. As already explained Masters have a spiritual duty to perform and the nature of duty changes as per the requirement of time, locality and level of humanity. Therefore, each Master’s way of working on the gross sphere is different. His individual nature may be a cause of different working. Because of their indifference to the society and peculiar ways, it is very difficult to identify a Master. Performing miracles cannot be a positive sign of perfection. To raise the dead is a child’s play for a Master but he does it rarely because that alters the destiny of that soul. Meher Baba saved F.H. Dadachanji twice. Sant Dnyaneshwar raised to life a dead Sacchidanand and utilized his services for writing Dnyaneshwari while he was narrating it to the audience. Performing miracles cannot be a positive sign of perfection. To raise the dead is a child’s play for a Master but he does it rarely because that alters the destiny of that soul. 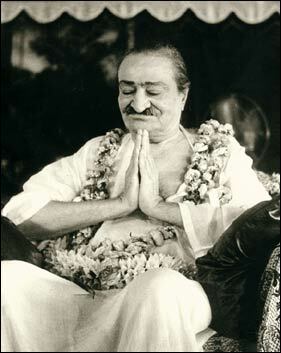 Meher Baba saved F.H. Dadachanji twice. Sant Dnyaneshwar raised to life a dead Sacchidanand and utilized his services for writing Dnyaneshwari. Reading the thoughts of other is a very minor miracle and can be performed by a beginner of the spiritual path. Tantrics and magicians can perform miracles but they don’t have even a whiff of spirituality. Only spiritual experience counts. Perfect Master has no self interest. He needs nothing. Whatever he demands from the visitor is only to cleanse the person concerned. For instance, Sai Baba of Shirdi used to demand ‘Dakshina’ (money to be offered to Guru). It was only to wipe out some impressions of the person concerned. Whatever orders are issued by a Perfect Master, they are to be scrupulously followed without applying one’s own mind. That is to his advantage. Once ‘Shams’ (Perfect Master) was travelling with a disciple and a big river was to be crossed; there was no boat. ‘Shams’ asked his disciple to follow and repeat his (Shams) name. ‘Shams’ was also crossing and was repeating Allah, Allah. The disciple thought that when ‘Shams’ was repeating name of Allah, why he should not repeat Allah’s name and recite ‘Shams’ instead. The moment he started ‘Allah’, ‘Allah’ he drowned in the river. This entry was posted in Meher Baba Speaks and tagged Meher Baba, Sai Baba, Upasini Maharaj. Bookmark the permalink.